Today, the Ninth Circuit Court of Appeals held, under California law, that FedEx drivers are employees, not independent contractors. As a result, Fed Ex, which had required the 2300 California drivers included in the case to pay for their own trucks, equipment and expenses, and work 9.5 to 11 hour days, is liable for violating the Labor Code. The case is Alexander v. FedEx, 12-17458, __F.3d__ (9th Cir. Aug. 27, 2014). In applying the principal factor of California’s “right-to-control” test, the Ninth Circuit observed that FedEx’s detailed control over drivers included: control over the appearance of the drivers, from their mandatory uniforms to the color of their shoes and socks and the appearance of their hair; the specific shade of white paint to be used on their trucks, the mandatory use of FedEx logos on trucks, mandatory truck dimensions, and interior shelves in the truck of particular materials and dimensions; and the structuring of work-loads such that drivers had to work 9.5 to 11 hours per day, with requirements that they not leave the FedEx terminal in the morning until all of their packages were available, and return to the terminals no later than a specified time. FedEx argued that drivers had some flexibility in the order in which they made their deliveries, and that they were permitted to be “entrepreneurial” by hiring helpers to allow them to handle multiple routes, but the Court, observing that FedEx maintained close control over the assignment of work and the right to reject proposed helpers, concluded that even if drivers had control over some aspects of the job, FedEx maintained “all necessary control.” Other relevant factors included the fact that the drivers worked for FedEx under long (one- to three-year contracts), which suggested that they were really employees, and that they were assisting the Company by carrying out its core business function – the delivery of packages. The case was procedurally interesting in that it was filed in California but then consolidated into multi-district litigation in the District Court for Northern District of Indiana. The Indiana court, applying California law, granted summary judgment to FedEx. 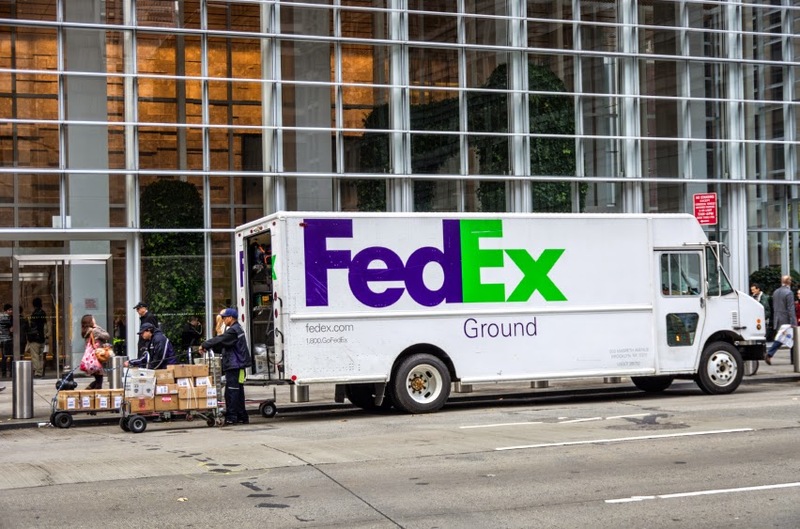 The Ninth Circuit Court of Appeals not only disagreed that FedEx was entitled to summary judgment, but held that the drivers were entitled to summary judgment. The case stands for the proposition that if an employer’s workforce is doing the work of employees, the employer cannot avoid complying with the Labor Code’s employee protections by artful contract language: calling a dog’s tail a leg does not mean a dog has five legs. The Court’s order is available here. If you have questions about your employment rights or about class actions seeking wages, please contact Bryan Schwartz Law. This summer marks the ten-year anniversary of California’s Private Attorneys General Act of 2004, an essential weapon in an employee rights advocate’s arsenal. Under PAGA an aggrieved employee can recover civil penalties on behalf of the State’s Labor Workforce Development Agency (LWDA) for all current and former employees for Labor Code violations. §2699(a). Originally enacted to attack California’s underground economy – businesses unlawfully operating outside of the state’s tax and licensing requirements – and enhance revenues (California Bill Analysis, S.B. 796 Sen., 4/29/2003), PAGA gives workers’ rights advocates an ability to vindicate the State’s interest in obtaining redress for flagrant wage violations statewide. I. PAGA Representative Actions Do Not Need to Meet Class Action Requirements. In Arias v. Superior Court (2009) 46 Cal.4th 969, the plaintiff brought a representative PAGA claim for wage and hour violations, among other claims. Id. at 976. The trial court granted defendant’s motion to strike the PAGA claim and other causes of action, for failure to comply with the pleading requirements for a class action. Id. Subsequently, the Court of Appeal issued a peremptory writ of mandate directing the trial court to strike other causes of action, but not the PAGA claim. Id. The California Supreme Court agreed with the Court of Appeal – holding that a plaintiff suing under PAGA did not need to comply with California’s class action requirements. Id. at 988. Arias addressed and dismissed three arguments posed by defendants: (1) the Court of Appeal’s construction of PAGA would lead to absurd results because one subdivision in the statute allows for class actions, while another subdivision does not, (2) the legislative history indicates the legislature intended actions under the act to be brought as class actions, and (3) the act violates due process rights of defendants. Id. at 982-84. Rejecting these positions, the Court held that a PAGA plaintiff sues as the “proxy or agent” of the state's labor law enforcement agencies. Id. at 986. As such, a PAGA plaintiff represents the same legal rights and interests as state labor law enforcement agencies. Id. Ultimately, the PAGA claim is an enforcement action, not a class action brought for recovery of civil penalties, so it need not comply with class action pleading requirements. Most federal courts have likewise held that a PAGA claim need not be certified under Rule 23. See, e.g., Cardenas v. McLane Foodservices, Inc. (C.D. Cal., Jan. 31, 2011) SACV 10-473 DOC FFMX, 2011 WL 379413, *3 (a PAGA claim neither purports to be a class action nor intends to accomplish the goals of a class action); Sample v. Big Lots Stores, Inc. (N.D. Cal., Nov. 30, 2010) C 10-03276 SBA, 2010 WL 4939992, *3 (the Class Action Fairness Act (CAFA) “applies only to state statutes or procedural rules that are similar to a federal class action brought under Rule 23” – but PAGA claims are distinct from class actions). But see Fields v. QSP, Inc. (C.D. Cal., June 4, 2012) CV 12-1238 CAS PJWX, 2012, WL 2049528, *5 (plaintiff must meet requirements of Rule 23 because PAGA is a procedural mechanism). II. PAGA Claims Cannot be Forced to Individual Arbitration. As the Nation’s High Court shows increasing animus towards class actions – reimagining the Federal Arbitration Act of 1925 (FAA) to diminish Federal Rule of Civil Procedure 23’s efficacy as a method through which employees and consumers can vindicate their rights – the State of California, through private counsel, can still pursue relief for workers through PAGA representative actions. In AT&T Mobility LLC v. Concepcion (2011) 131 S.Ct. 1740, the U.S. Supreme Court relied on the FAA to abrogate Discover Bank v. Superior Court (2005) 36 Cal.4th 148, which had held that the party with superior bargaining power unconscionably carried out a scheme to cheat large numbers of consumers out of individually small sums of money, using an arbitration agreement with a class action waiver to prevent class action and meaningful relief. This blog has discussed Concepcion previously on several occasions: here, here, and here. Yet, while Concepcion stunted class action litigation, it did not address PAGA representative actions brought on behalf of the LWDA. Brown v. Ralphs Grocery Co. (2011) 197 Cal.App.4th 489, review denied (Oct. 19, 2011), cert. denied, 132 S.Ct. 1910 (Apr. 16, 2012), held that PAGA claims are not subject to individual arbitration agreements. In Brown, the plaintiff brought both a class action claim and a PAGA claim against her employers for various labor code violations. Id. at 494. The employers moved to compel individual arbitration based on a provision in the employment contract, which they argued prohibited both class actions and representative PAGA claims. Id. at 495. While the class claim fell to arbitration, the PAGA claim averted arbitration. The Brown court concluded Concepcion did not address – and thus could not be binding on – PAGA, which is an enforcement action in which employees and their counsel act as an “agent or proxy” of the state. Id. at 503. See also Reyes v. Macy's, Inc. (2011) 202 Cal.App.4th 1119, 1124 (PAGA is not within the scope of individual arbitration because a PAGA claim is not an individual claim). Other courts disagreed with Brown and Reyes, including Iskanian v. CLS Transp. Los Angeles, LLC (Cal. Ct. App. 2012) 142 Cal.Rptr.3d 372. In Iskanian, the Court of Appeal declined to follow Brown and Reyes in a case brought by drivers, who brought a PAGA representative action but had signed an employment contract with an individual arbitration agreement. Id. at 375, 384. Reversing, the California Supreme Court held that a PAGA claim could not be subject to an individual arbitration provision in an employment contract. Iskanian v. CLS Transp. Los Angeles, LLC (2014) 59 Cal.4th 348, 384. Bryan Schwartz Law’s blog post on Iskanian is available here. The Court reasoned that a PAGA action was a type of qui tam action (Id. at 382) – whereby a plaintiff brings an action on behalf of the State. However, unlike a pure qui tam case, where the relator collects a “bounty,” the 25% goes to all the aggrieved employees - not just the plaintiff. Id. PAGA is not and has never been intended as a "bounty hunter" statute. The Court also reaffirmed Arias’ holding that a plaintiff bringing a PAGA claim acts as an “agent or proxy” of the state’s labor law enforcement agencies. Id. at 380-381. The Court also drew from the Supreme Court’s decision in EEOC v. Waffle House, Inc. (2002) 534 U.S. 279, which held that an employment arbitration agreement governed by the FAA did not prevent the Equal Employment Opportunity Commission (EEOC) from suing an employer on behalf of an employee bound by that agreement for victim-specific relief, because the EEOC was not a party to the arbitration agreement and could bring an enforcement action regardless of the private agreement. Iskanian, 59 Cal.4th at 386. Similarly, a PAGA claim lies outside the FAA's coverage because it is not a dispute between an employer and an employee arising out of their contractual relationship. It is a dispute between an employer and the state. Id. III. PAGA Creates An Unwaivable Public Policy Right. Iskanian reminds us that a PAGA creates an unwaivable public policy right: any agreement by employees to waive their right to bring a PAGA claim serves to disable one of the primary mechanisms for enforcing the Labor Code. Id. at 383. Because such an agreement has the “object, … indirectly, to exempt [the employer] from responsibility for [its] own…violation of the law,” (Civ. Code §1668) it is against public policy and unenforceable as a matter of law. Further, a court must review and approve any proposed settlements that attempt to release PAGA claims. See Lab. Code, § 2699(l). In Amalgamated Transit Union, Local 1756, AFL-CIO v. Superior Court (2009) 46 Cal. 4th 993, 1003, the Court held that PAGA did not create a transferable property right, such that a union did not have standing to bring a PAGA claim on behalf of aggrieved employees. Because of the “simply procedural” language posited in Amalgamated, federal courts have been mixed on the question of the type of right created by PAGA, leading some federal courts to interpret PAGA as a “simply procedural” statute that can be preempted by Rule 23’s class certification requirements. Compare Cunningham v. Leslie's Poolmart, Inc. (C.D. Cal., June 25, 2013) CV 13-2122 CAS CWX, 2013 WL 3233211, *7 (held that a PAGA claim is a type of qui tam action and thus, substantive in nature); Moua v. International Business Machines Corp. (N.D. Cal., Jan. 31, 2012) 5:10-CV-01070 EJD, 2012 WL 370570, *3 (PAGA transcends the definition of what is simply procedural); and Mendez v. Tween Brands, Inc. (E.D. Cal., July 1, 2010) 2:10-CV-00072-MCE, 2010 WL 2650571, *3 (to find that PAGA creates a wholly procedural right, and that Rule 23 therefore applies, would be to ignore the intent of the legislature in passing the statute); with Fields, 2012 WL 2049528 (PAGA “is simply a procedural statute”) (citing Amalgamated, 46 Cal.4th at 1003); Halliwell v. A-T Solutions (S.D. Cal. 2013) 983 F.Supp.2d 1179, 1183-84 (Federal Rule of Civil Procedure 23 governs all representative claims brought in federal court, even if the underlying individual claims arise under state law)(citing Fields at *5). With Iskanian reaffirming PAGA’s unwaivable public policy right and likening the statute to a qui tam action, which according to Cunningham is substantive in nature, federal courts should think twice before interpreting PAGA as a simply a procedural state statute that can be preempted by federal procedural rules. PAGA allows workers their day in court when the cost of litigation would otherwise impede access to justice. In Kirby v. Immoos Fire Protection, Inc. (2012) 53 Cal.4th 1244, plaintiffs brought an unsuccessful class action for violation of wage and hour laws and unfair competition laws. The employer sought to recover fees for the defeated meal and rest period claims under Labor Code §226.7, invoking §218.5’s two-way fee-shifting provision. The court concluded that §218.5 did not apply to meal/rest claims and that neither party could recover attorneys’ fees for an action brought under §226.7. Id. at 1248. While the Kirby ruling shielded plaintiffs from having to pay an employer’s attorneys’ fees when they are unsuccessful in vindicating claims for denied meal and rest breaks, it also would have left workers in most cases without representation in bringing such claims. PAGA to the rescue. Under §2699(g)(1), a plaintiff who brings a PAGA claim to recover payment for missed meal and rest breaks can recover attorneys’ fees. PAGA may also be used to seek attorneys’ fees for other statutory provisions which vindicate public policy but do not contain separate fee provisions, such as waiting time penalty claims under Labor Code §203, and whistleblower claims under Labor Code §1102.5.The fee-shifting provision levels the playing field, especially for low-income workers going up against employers that would otherwise drown the workers’ claims in insurmountable litigation costs. In Thurman v. Bayshore Transit Management, Inc., (2012) 203 Cal.App.4th 1112, a case in which a bus driver brought a PAGA claim, the Court of Appeal discussed the issue of PAGA penalties. The Court first held that Thurman could recover civil penalties under Labor Code section 558 which provides in relevant part: “(a) Any employer or other person acting on behalf of an employer who violates, or causes to be violated, a section of this chapter or any provision regulating hours and days of work in any order of the [IWC] shall be subject to a civil penalty. Id. at1130. The provision allowing recovery of penalties under PAGA did not extend so far as to allow plaintiff to recover civil penalties under both PAGA and Wage Order 9 (which contained its own civil penalties provision) because doing so would “allow an impermissible double recovery for the same act.” Id. at 1131. Further, Thurman could recover unpaid wages as part of the civil penalty under PAGA. The Court held that the civil penalty under Labor Code section 558 consisted of both the monetary penalty amount and the underpaid wages, with the underpaid wages going entirely to the affected employee or employees as an express exception to the general rule that civil penalties recovered in a PAGA action are distributed seventy-five percent to the Labor and Workforce Development Agency (LWDA) and twenty-five percent to the aggrieved employees. Id. at 1145. Aggrieved employees can also recover penalties for missed meal and rest breaks under PAGA as the civil penalty under section 558 applies to “any provision regulating hours and days of work in any order" of the IWC, including the rest period requirement. Id. at 1153. Additionally, in Sarkisov v. StoneMor Partners, L.P. (N.D. Cal., Apr. 3, 2014) C 13-04834 WHA, 2014 WL 1340762, *5, the Northern District of California held that a PAGA plaintiff can sue for PAGA penalties applicable to his own individual action – that is, for the injuries done just to him—without having to prove all PAGA penalties for everyone else in the same workplace. PAGA allows employees to hold joint employers accountable for Labor Code violations. In Reynolds v. Bement (2005) 36 Cal. 4th 1075, 1094, overruled on other grounds by Martinez v. Combs (2010) 49 Cal.4th 35, Justice Moreno, in his concurrence, raised the possibility that the then-new PAGA statute would permit individual liability for corporate officials, saying, “the Private Attorneys General Act… authorizes civil penalties for violations of the wage laws that include unpaid wages from ’any employer or other person acting on behalf of an employer,’ a phrase conceivably broad enough to include corporate officers and agents in some cases.” Thurman reaffirms Justice Moreno’s concurrence. Thurman 203 Cal.App.4th at 1144. Federal courts have also held joint employers liable based upon PAGA. In McDonald v. Ricardo's on the Beach, Inc. (C.D. Cal., Jan. 15, 2013) CV 11-9366 PSG MRWX, 2013 WL 153860, *1 the plaintiff brought a PAGA claim for wage and hour violations, and the defendant moved for summary judgment alleging he could not be held liable under PAGA because he was an absentee owner. Id. The court first made clear that PAGA encompasses “any provision” of the Labor Code. Id. at *3. The Court also said Labor Code § 558 – individually actionable through PAGA - makes clear that an individual defendant can be subject to the penalties of Labor Code § 510 if he is “acting on behalf of an employer who violates, or causes to be violated” Labor Code § 510. (citing Ontiveros v. Zamora (E.D. Cal., Feb. 20, 2009) CIV S-08-567LKK/DAD, 2009 WL 425962). In denying defendant’s summary judgment motion, finding that the owner could be a liable “employer” based upon PAGA, the Court relied on evidence that defendant’s company prepared paychecks, and that defendant signed paychecks, sometimes brought them to be distributed, and made policy decisions pertaining to the company. Id. at *4-5. A PAGA action is not easily removed to federal court. Aggrieved employee penalty amounts cannot be aggregated to satisfy amount-in-controversy requirements for purposes of diversity jurisdiction. See Urbino v. Orkin Services of California Inc. (9th Cir. 2013) 726 F.3d 1118. Further, while Pagel v. Dairy Farmers of America, Inc. (C.D. Cal. 2013) 986 F.Supp.2d 1151, 1157, sought to limit Urbino to non-CAFA cases, the holding has been undermined by Baumann v. Chase Inc. Services Corp. (9th Cir. 2014) 747 F.3d 1117. Baumann held that PAGA actions are not sufficiently similar to Rule 23 class actions to trigger CAFA jurisdiction, reaffirming Urbino’s holding that potential PAGA penalties against an employer may not be aggregated to meet the amount in controversy requirement, and holding that CAFA provides no basis for federal jurisdiction over a PAGA action. There are still some lingering questions pertaining to PAGA. For example, it is still unclear what protections PAGA affords public sector employees and whether the U.S. Supreme Court will choose to foray into uniquely California law once again to force down the Chamber of Commerce-sponsored agenda and squelch California’s PAGA enforcement actions. Despite these uncertainties, with a growing list of favorable jurisprudence, PAGA is becoming an unmatched weapon in the fight for workers’ rights.